Disclaimer: the purpose of this post is to satisfy the author’s curiosity about the difficulty of finding a job in Paris. Due to limited resources, it has been restricted to briefly discuss whether the huge cost of hiring is causing the apparent “disfavor” of foreign candidates. It does not intend in any way to explain any socio-economic-political problems faced by the country today. Neither does it propose any solutions. The conclusions presented do not reflect the French population’s opinion. They are solely the author’s point of view basing on her own experience and situation analysis. These statements partly answer my question. Plus if I add this information to my own experience and other people’s stories, I could say that when we look at the supply side of the labor market it’s not a matter of foreign applicants presenting a lower-level training. It’s more a question of the selective process candidates undergo and the criteria being used when choosing the finalists. What about the demand side? This made me think about the employers and the price they have to pay to acquire labor. It occured to me that perhaps this is one factor that’s discouraging hiring in general. And if we include the economic crisis in the picture, it could explain why the French are more favored by local companies when seeking to increase their staff. By the way, no matter what they tell you: it’s the companies that demand work and the employees that supply them. Even if the ads announce “JOB OFFER”, technically they are the ones that need the labor to do such job. The cost of hiring basically includes: salaries and wages plus various expenditures such as payroll taxes and cost and benefits to be paid by employers- not to mention the operating expenses (setting up a computer, telephone line, in some cases a mobile phone, company vehicule, etc…). In France, social taxes (paid by the employee) average up to 22% of the gross salary, while the costs and benefits paid by companies average to 42%. If a company decides to hire a foreigner, it has to take charge of organizing the person’s work authorization. This is a pre-requisite for anyone who wants to start processing his visa/residence permit and would raise the hiring cost. This is not only measured in terms of money but also in terms of time spent, effort exerted and those “things left undone because of having to allocate money, time and effort in applying for a work authorization”. The latter is what economists love to deal with and they call it opportunity cost. We’ll get back to that later. As for EU nationals: technically they’re still foreigners but they have the liberty to move about and work within the EU zone. Because of this, French companies have theoretically started to widen their search; they are not anymore obliged to hire French candidates first. In theory. But with the high unemployment rates (10,5% for France and 8,4% for the city of Paris), it shouldn’t be surprising if candidate searches are still leaning towards French citizens. Here we can also insert the opportunity cost of not hiring a French national. On one hand, in the case of using a company’s resources to prepare a work authorization: this would mean hours of an HR personnel’s time invested in the said task instead of, say, interviewing candidates, helping out in a team project or simply archiving letters and documents (the French are still big, big fans of hard copies of documents and snail mail). On the other hand, the opportunity cost of not hiring a French national is simply passing up the chance of employing a more competent and brilliant worker, compared to the foreign one (I really have the impression that the French take a lot of pride in themselves- which is good! I mean, why not?). Is the cost of hiring affecting companies’ decision to employ? All of these mechanisms propped up to protect a worker generate certain costs shouldered by both employee and employer. But as I’ve mentioned earlier, employers pay an average of 42% of an employee’s gross salary in costs and benefits. That is an important chunk of enterprise money that could go to a “better” use. Could this really be the reason? is labor really “too expensive” for employers to purchase? And thus when they could purchase it, they choose their countrymen so they don’t incur in unnecessary additional costs? In this sense, it apparently seems so (although it would not explain why other EU nationals have a hard time finding a job). What do the heavier research materials say? According to on OECD review dated a year ago (April 2016), France should “take measures to make employment contracts more flexible”. This translates to simplifying layoff procedures. Now, does this mean that the problem lies in the costs of firing employees? An employee who refuses a modification in his contract (usually to lower his salary or increase his working hours with less compensation) following a deal with the labor union could be dismissed. … all of them geared towards cheaper staff cutback to facilitate hiring. Reading through other research materials, I found answers as varied as the schools of thought where the authors come from (some of the reasons presented were quite off-topic for the content of this blog). Though I came across a very interesting report from McKinsey (2012), which not only suggested reform on labor market conditions but also other mechanisms such as supporting “job-creating growth for the high- and low-skilled alike”. As far as I’m concerned, this is a very englightening and practical response. While it may be true that French Labor Laws are strict, perhaps the reason why companies are not hiring is because they simply cannot create jobs and thus have no need for additional staff…?? So why is it so difficult to find a job in Paris? While I actually enjoyed the brief research I did for this post, I’m not so sure I could say the same about the reader. Either you are pulling your hairs by now, ready for the big punchline or you simply stopped reading right here. Notice how in Q1 of 2013, France’s economy was still on the uprise- the same period when the FT interview took place. My point is, if employers (whether from small- or medium-sized companies, they are still the ones hiring!) were already having this kind of thought during prosperous times, imagine their reaction during an economic downturn! The same company owner also stated that he has to “employ people with ready-made skills who you are sure will fit straight into the job”. Going back to the case of foreigners applying for jobs in Paris, this seems to explain why they are not easily hired. Recruiters simply cannot afford to risk engaging someone who will make them incur in increased training costs. In my particular situation, the simple answer is: I came in the right place at the wrong time. It was 2014 and the economic crisis was at its peak in Spain. In the meantime, my husband and I believed that France was doing just fine. It was not after our arrival when we realized that crisis was already budding in the neighboring country. If we look back to the chart and take the middle block of data (Q1, Q2, Q3 and Q4 of 2014), notice how the GDP growth just dropped from the end of 2013- which was when I started looking for a job in Paris- and did not recover until the end of Q2 in 2014. It’s also important to consider that this recovery was a slow, small one which was not enough to replicate the features of a more booming Q1 2013. I don’t believe that hiring costs hugely affect employment decisions by companies. In my opinion, if there’s need for personnel and there are resources available, a company will hire. And if a person is the right fit for the job, he will be employed even if it meant a little more effort from the recruiting side. That’s why negotiation was invented. The complicated answer? Well, I’d like to invite you to review the literature along with me and perhaps start a debate? The more varied the schools of thought, the better! I truly like ending my posts with a moral lesson or some inspiring anecdote- anything to leave the reader with a nice, feel-good vibe. There was really no way for me to know that France was already suffering from a sharp economic decline during the moment I decided to search for a job. The kind of chart I presented above doesn’t get “done” until a certain period of time has passed. Meaning, that the earliest I could’ve known about the French economic crisis was at the end of Q1 2014, and by then I was already working in that 5-month contract outside of Paris. This is the beauty of economics- it makes you learn the lesson the hard way but also gives you an understandable image of the past so you won’t commit the same mistakes in the future. It allows you to (dis) believe in what you know for yourself. I was tweaking my CV and I saw how “colorful” my short professional history is. In chronological order: I worked in a bank, I interned at a financial services firm, I was an administrative for over a year in a computer company, I interned at a microfinance institution in Colombia, did financial analysis, budget control, social performance analysis, assisted in fundraising activities, worked in logistics and finally was a project manager for an up and coming annual report on talent. Did that make you cross-eyed? One very important thing that the French consider in hiring is the consistency in a candidate’s experience. The logic goes like: the more consistent your training is, the more “maître” you are of your tasks, the more expert you become in your skills, the better worker you are and the more suitable you are for the job post. Specialization is key- and I had planned to specialize, I promise! But life is unpredictable no matter how much you plan. What worked for me was to just be open to the ocean of possibilities before me and follow my instincts for survival. Everything is supposed to come in time. Let me rewind back when I was about to finish my degree: at that time, I decided to specialize in International Economics and Development. My parents are development workers and I’ve always been attracted to the possibility of contributing to make this world a better place. I have known people from different walks of life working in the development sector. It didn’t matter whether they finished Arabic Studies or BS Psychology- what mattered was their commitment to the cause. I also saw people travel a lot. Some would go to conferences in beautiful cities, some would attend trainings in modern metropoles while some would implement projects in far-off places with no running water. I think what’s most interesting in this sector was the amount and variety of people you meet along the way. I’ve met some of my parents’ colleagues and while there were special (read: weird) cases, several of them I could consider dependable people. But not only that- back in the Philippines when I was as young as 6 years old, my mother would take me to the barrios (small town, often poor areas) where she had to work. She would spend her time mobilizing and capacitating farmers, fisherfolks and women groups. I, on the other hand would play with their children. The learning opportunities offered by this type of exposure is one of a kind and I thought: if as a child I was able to grasp a lot of lessons, how much more could I learn as an adult? The prospect of doing some or all of those things myself made me study very hard so I could graduate ASAP, go see the world and meet people. But my reality was in Madrid, Spain in the year 2006. Development work is still taking babysteps to be considered in the international scene (I remember former Queen Sofia doing a lot of promotional duties alongside the Spanish Cooperation Agency). Even if I was very much willing to be relocated elsewhere, there was no budget back then for development projects. My other reality was that I needed a job so I could be emancipated. I was simply itching to start earning my own money and live my own life. Survival. This is why I landed on jobs that were not related to my degree. One example would be the first job I ever had as a monitor in a school bus. That was waaaay back in college when I only had 1 subject to pass before finishing my degree. I had time to spare so why not spend it by earning money (see what I did there?)? I was also accepting babysitting jobs on the weekends but those don’t count because I wasn’t contributing in Social Security. Anyway, that “supervisory” job didn’t last long because after two odd months, I got offered an internship in an international bank. I was so thrilled! I remember putting on my most professional-looking clothes (thanks Nanay!) and feeling very enthusiastic at the thought of a career in banking. The internship lasted 3 months and I was offered a job… but I refused. I did not like banking at all and I didn’t want to “live my life for my work” instead of “working to live my life” (in Spanish: “No vivo para trabajar, trabajo para vivir”). I made some more twists and turns in my professional life, until I enrolled in a two-year Offical Master’s Degree. 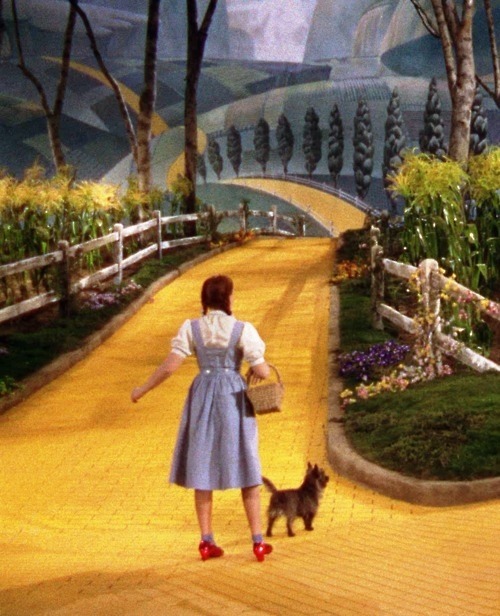 I wanted to pursue a Ph.D., but more importantly I felt it would help me get to my yellow brick road. And it did! Thanks to networking, I was able to get an internship in a microfinance bank in Colombia and eventually ended up in my dream job. My husband also got a job which promised a budding career in his field and for a time, life seemed impeccable. Then after some time, my husband and I started to feel that we needed a change. We just got married and perhaps the time we spent honeymooning gave us space to reflect on what we wanted to do with our lives. He certainly was not happy with his job. By that time, I’ve been in my dream job for 3 years and I had made great friends back in Spain; but something was missing. We were longing for an adventure together as a married couple. So for me, I had to choose between continuing to live a dream or finding a new one. Paris was of course our destination of choice. We both love the language, we have great respect for the French values and for better or for worse, it’s only an hour and a half flight from Madrid. At first, it wasn’t a very tough choice for me- the thoughts of finally learning to speak French and gaining work experience outside of Spain were reasons enough for me to take the plunge. But then I remembered dreaming of working for a place like my old workplace. I remembered studying so hard to do what I was finally doing back there. I remembered getting a student loan just to be able to have a Master’s Degree that would boost my CV to land on a job in the development sector. Will I just turn my back on that? Then a bulb lit up: I won’t be doing it alone- whatever story I was about to write in Paris, it would be done together with my husband. I wouldn’t be dreaming alone, I wouldn’t be hoping by myself and I wouldn’t be struggling on my own. He would be there and we would build a life together from scratch- him and me and the cat. As far as survival goes, I couldn’t really live without him. This was what made me decide to come. I was lucky enough to have found a job before settling here in Paris, albeit a temporary one (I was hired for a 5-month contract). The work had nothing in common with what I used to do back in Madrid, but it was very curious. It was still within the domain of research but not quite a usual one*. I was earning well, I was discovering a new career path and I was certainly practicing my French. Eventually, my contract ended. And as I’ve recounted on my post “A Color for Disbelief”, I had no choice but to accept an administrative job for 3 months until I was able to get hired as Research Assistant for 9 months. Then I got pregnant and five months ago I gave birth to my son. Part of me is convinced this has something to do with why my contract as Research Assistant was not renewed. But for the first time in a long time, I just embraced the new experience. I did not feel bad, did not feel injustice was being done to me and never once felt I deserved better. I was mentally and emotionally prepared to be a mother and was wholeheartedly open to the possibility of not having a job for quite a time. And just as I predicted: here I am, caring for a healthy, bouncing, 5-month old baby boy**! This, so far, has been the most difficult, most challenging yet the most gratifying and satisfying job I’ve ever had. It’s tiring, messy, sometimes frustrating, disconcerting, very patience-testing and I know it will only get messier as months come by. I don’t care though, I’m happy. And I have to say, I’ve always seen myself as a mother but this is one road I never thought I’d be this delighted to travel on. My son is the best boss I’ve ever worked for as far as I’m concerned- he’s very charming and pleasant, I know he appreciates what I do for him when he laughs and smiles, he’s a fast-learner, obedient and oh so well-behaved! Plus, I get to sleep while he’s napping so really, I can’t complain! Each time things get tough (because caring for a baby is really more difficult than a 9-6 job, no matter what other people say) I just always think of a friend whose courage and adventurous spirit continue to inspire me. She actually gave up her job as a Junior Executive in exchange for becoming a cheese maker in the Alps. This friend also studied Economics and she was exactly what I wanted to be- she travelled a lot because of her work, she met a lot of interesting people, she worked on a noble project that promised poverty alleviation… Exactly the picture I painted of myself in the past. Then, something happened that made her choose to leave it all behind. But she and her husband are together and I believe they are very happy and fulfilled. If I’m not mistaken, they have to get themselves seasonal jobs but I am convinced they are both living the life they dreamed about. I am able to say this because when she came to visit last year, I saw the glow in her eyes and the smile in her face. She even brought me a packet of dried wild mint leaves they harvested from the mountains. All those times in the past when I thought she was happy working in her old job… she was so succesful and highly acknowledged in it! and perhaps she was contented, for some time. But the last time we saw each other… I’ve never seen her that way before. It was the look of someone who was clearly struggling with a new life, yet overjoyed to be doing so. Do I still dream of landing on a job in development economics? Everyday of my life. Am I still hopeful that a French company would hire me or at least call me for a preliminary interview? Yes, but now I’m realistic enough to know that the probability would almost be like winning the lottery. Am I optimistic that international companies would hire me? YES. In fact, that’s why I started this blog in the first place; I need space to practice my writing and research skills so here I am! But honestly? For now, I believe my son has helped me find my dormant passion and as it turns out I’m pretty good at it. So I don’t mind staying like this for a while- at least until my unemployment allowance runs out. I found good company, yes I did! No matter what obstacles blocked my way and no matter what distractions may have risen I always had someone to share with, laugh with, fight with, make up with and continue travelling with. And with my “latest job”, I think I’ve found the best one yet! *I will be writing soon enough about that very intriguing job! **We are all able to survive thanks to my unemployment allowance. Before coming to Paris, not only did I learn the language: I watched the news and read Le Monde regularly to keep up with the current events, I was in constant communication with friends and peers from the French community and I even hired a personal tutor for mock job interviews. I immersed myself in the culture in any possible way I could (eating French food, buying French clothes, going to France or francophone areas for holidays, etc…). I watched video after videos of songs, tutorials, movies and talk shows just to get the “feel” of it. I also researched about the French job market using job-searching sites and other articles I’d find online. I felt great when I aced an interview and got hired for a temporary contract. Until I realized that after having applied to an average of 200 jobs in 4 months, only 2 companies called me for an interview and none of them was French. WHATEVER HAVE I DONE WRONG? (According to her experience) The French hiring system is very protective of their own. Among a roster of candidates, usually they would get CVs of people who graduated from French universities*. And by chance, if a non-French candidate with a degree from a non-French university is considered for the job, more often than not this non-French candidate would be offered a different salary (read: lower) than the French ones**. Finally, if a non-French candidate is lucky enough to get hired, this person can only get promoted as far as company policies allow***. That is to say that for foreign employees with degrees from outside of France, there’s a limit to where they could go up the company ladder (again, this means a lower scale compared to the French). She used to work in a consulting firm. *Especially those who graduated from the grands écoles. **According to her, there was actually a published sheet of salary equivalance for each “type” of employee. ***Just like with the salaries, her company also showed her a published sheet about this. The French hiring system is very protective of their own (repetition intended). There is a general belief that if you hold a degree from a good French university, you must be without a doubt someone who is “performant”. Foreigners have it tough if they want to apply in a French firm, but international firms based in France are more open to a wider variety of suitable candidates. It has been like this since she can remember and she doesn’t foresee any change soon. She’s half-French and is currently out of job. The French hiring system is very strict and recruiters filter candidates’ CVs according to where they got which degree. It’s easier for them to hire like this because a good French university is known for producing quality graduates. They’re not fond of taking any chances. 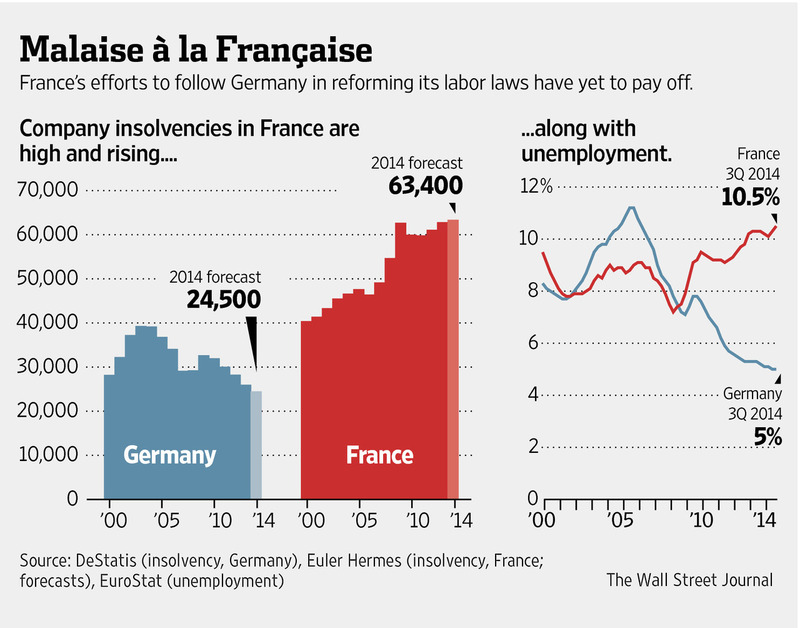 Current research is being made on the subject of the French labor market and its rigidity. Please standby for a related post! DID I NOT MAKE ENOUGH RESEARCH? DID I NOT TALK TO FRENCH PEOPLE BEFORE COMING TO FRANCE? WHY WAS I NOT BRIEFED ABOUT THIS? I entered into a state of depression for some months. I was getting sick all the time and all I wanted to do was go back to Spain, to my old job- to my old life! The feeling of uselessness and helplessness were everyday companions for me. And I was not used to having them around all the time. After some time, I learned to accept that this is just how things are right now. And although there are moments when I give in to the temptation of regretting my decision to live here, there isn’t much I can do about it, is there? I am here, so I might as well take every oppportunity I have to live and learn. On the other hand, for those jobs fitting my qualifications… I just embraced the reality that there is so much competition, my CV didn’t even stand the first elimination round. This would explain why my friend helped me structure my cover letter so much that it covered the job description point by point (see my post: The “ray” in Gray”). It’s important to make the recruiter see that you can do all that they need for the job post. WHY DIDN’T ANYONE WARN ME ABOUT THIS? Of course, I was referring to the French people I’ve talked to ranging from my private tutor to our friends and acquaintances. For this one, I believe the answer would be that some things seem so obvious to some people, they find it impossible for you not to see it. I mean, it is their system after all and they’ve lived their whole lives knowing these facts. For them it simply turned out to be within the realm of “common sense”. I can imagine them thinking, “Who would not tweak their CV and cover letter to respond to the needs of the job post from start to finish?” or “What type of a professional in his right mind would apply for an internship post?”. DID I NOT TALK TO FRENCH PEOPLE BEFORE COMING TO FRANCE? Yes, I did. I just talked a lot more about other things and left some-sigh!- essential topics behind. WHY WAS I NOT BRIEFED ABOUT THIS? The answer is simple: I did not ask the right questions. I simply assumed things would be just as I know and just as I imagined they would work. It was the most difficult transition I’ve ever experienced but then I was “rewarded” with an excellent Operations Manager. She speaks English but her French is so good that even the French people themselves acknowledge it! I learned so much on how to communicate (from colleagues of our level to directors and exclusive clients), I truly improved my ability to write emails and even if each day ended with my head as swollen as a balloon, now I could proudly say that I have “Full Professional Proficiency” in French. Ha! Eventually, I landed on a Research Assistant job in the same company (yes, ladies and gentlemen- 3 different contracts in 20 months). By the time I was settling in to the new job, I was already warmly welcomed and genuinely at ease with the rest of the team who where mainly French. They saw how hard I tried to communicate in their language and in return, they showed me great consideration and understanding. They were very protective of my interest and well-being, they would give me all sorts of advice (especially when I got pregnant with my son) and they never shut their doors anytime I needed someone to talk to. I still feel a tiny pinch in my heart whenever I think about some of my rejected applications. Mostly because in some of them, I discovered they actually preferred someone who has a French degree even if experience-wise perhaps we were equals. But that’s okay. I really live by the saying, “It’s not about the destination, it’s the journey that counts”. Make sure you have a job before buying your plane (or train) ticket. Please refer to the post, “To see is to (dis)believe” for further discussion on looking for a job in Paris. Thanks!